The Kurnell Catamaran Club Incorporated was established in 1972 and caters for "off the beach catamaran" and "cruising multihull" racing and social sailing. We are a fun, family oriented Club that caters for the less experienced and expert sailors alike. The Club generally sails between September and the end of April each year on most weekends. (Refer to the Race Calendar for the current sailing program). 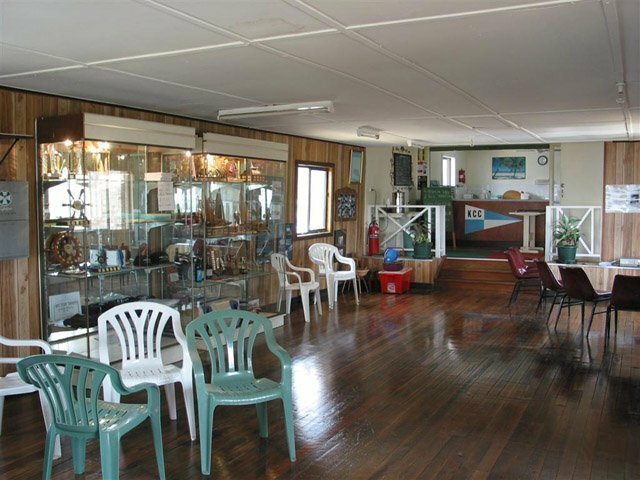 The Club has a large clubhouse on the corner of Ward Street and Prince Charles Parade at Kurnell, Sydney Australia and holds a restricted alcohol license (members and bona-fide visiting sailors only). The Club has long term boat storage for members in two boat yards (one storing mast down and one storing mast up). The Club sails in the waters of Botany Bay and has easy launch off the beach in front of the clubhouse at Silver Beach. A twin hulled Webster 5.2 aluminium support vessel in contact via VHF/UHF radio to the clubhouse assists with race starts and general racing/sailing on sailing days. The Club is always manned with an Officer of the Day on sailing days. Some of the "off the beach" classes sailing at KCC include "A" Class, F16s, F18s, Hobiecat, Maricats, NACRAs, Paper Tigers, Stingrays, Taipans, Tornados, Windrush and others are always welcome. Additionally the Club now has a Junior Monohull Division sailing in Open BIC boats. This class targets junior sailors under 16 years of age, but particularly those between about 7 and 13 years. The Club has about 10 boats in the class, including 2 boats that the Club owns (donated by Caltex Oil Refinery) and lends out on junior sailing days. For further information, please refer to our Frequently Asked Questions(FAQ) page.